Even if we don’t physically see cats and dogs, they’re still such a part of culture that we barely think twice about their existence. A sudden downpour means it’s raining cats and dogs. A long day on your feet means you should let your dogs rest. A black cat crossing your path is one of the oldest superstitions in the books. As previously mentioned, it can truly be said that cats and dogs are everywhere. Yet this has not always been the case, so how did it come to be that cats and dogs have become such an everyday part of our culture? Read on to learn more about how cats and dogs were domesticated into society, and bring your cat or dog into Royal Pets Market & Resort! With a veterinary clinic, pet store, pet grooming, and pet boarding, your pet needs are sure to be met at our St. Petersburg or Tampa locations. Scientists debate on several ideas regarding when dogs began to become man’s best friend. 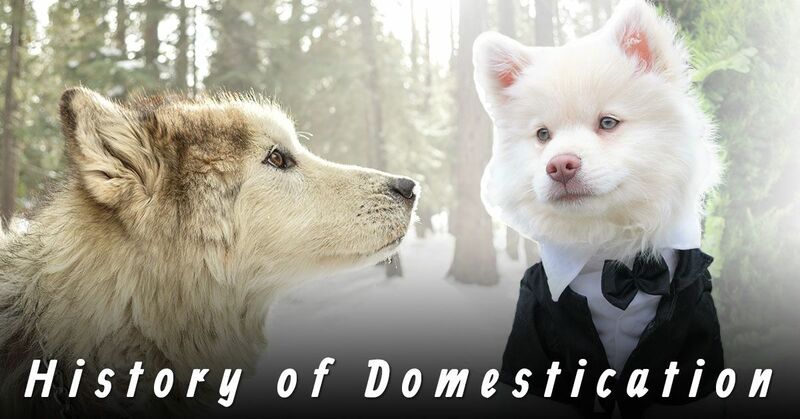 More recently, evidence suggests that the process of domesticating dogs took place between 12,000-15,000 years ago. For many in the scientific community, the general consensus has been that people began to work with wolves, approaching wolves for many aspects of companionship. Having wolves around meant an added form of security for people, but this partnership was equally beneficial for wolves, who had a more consistent source of food. Eventually, the relationship between man and beast began to forge towards a symbiotic one. Additionally, analyzing mitochondrial DNA of ancient dogs in comparison to modern dogs suggests that dogs were domesticated in more than one location. In both Europe and Asia, it would appear that two separate events of domestication took place. It’s pretty fascinating to think that two separate cultures had the same idea about domesticating dogs, even if the timing wasn’t exactly the same. While we don’t have the exact answers as to when and how dogs were domesticated, one thing we know is that for the past 10,000 years, dogs have lived in tandem with humans. They have provided transportation and protection, and in modern times, have been domesticated for a number of services that go far past being a cuddly and cute pet (though from an evolutionary standpoint, the cuteness definitely has helped dogs out). As reported by National Geographic, “The earliest ancestors of today’s domestic cats spread from southwest Asia and into Europe as early as 4400 B.C.” These cats started to establish themselves around farming communities in the Fertile Crescent, and farmers were very happy to have them around. With cats inhabiting farming regions, rodent populations were being controlled, which helped prevent the spread of diseases, as well as allow for crops to continue to thrive. If you thought your cat was only good for laying on your laptop or taking up all the space on the couch, think again—their ancestors were a very integral part of growing societies! Not only were the earliest cats domesticated for work, they were also seen in the highest of religious regards. In ancient Egypt, cats were highly revered on a spiritual level. There were fairly severe penalties for injuring or killing a cat, due to the belief in a goddess by the name of Bastet. The Egyptian goddess Bastet was half feline, half woman, and she even had her own place of worship in a city in northern Egypt. Archaeologists have uncovered countless artifacts from ancient Egypt that were inspired by cats—sacred jars for mummification processes, along with hieroglyphics on temples and sarcophagi alike have proven time and again how important cats were to Egyptian society. Cats and dogs continued to grow as a part of human culture, but not simply by evolving into the lovable house pets we know them for. On the contrary, dogs and cats are still being domesticated, into jobs that our predecessors might not have thought possible. It’s pretty incredible that dogs can be trained to act as service dogs to people with various cognitive and physical disabilities. The late 18th century was when initial attempts at training dogs to guide the blind first took place. This concept only continued to expand, and the training is so systematic, practically anyone can go through certification to learn how to train dogs to guide the blind. Guide dogs can do everything from turning lights on and off, to helping owners cross the street, and more. The working relationship between dog and human sheds light on the awesome potential of canines. Dogs and cats alike have been trained in more recent years to assist humans in a therapeutic manner. For both cats and dogs, they are trained to help people who are suffering by providing healing measures through human-animal interaction. Pets have always helped us feel better, but these service animals are trained to do so. As we touched on in a previous blog, a dog’s sense of smell is practically a superpower. Dogs have been used throughout the past century for search-and-rescue missions, detecting bombs and live ammunition, and in more recent years, cancer. It sounds too crazy to be true, but a British organization called Medical Detection Dogs has worked at training dogs to sniff out cancer. One of the dogs named Lucy can smell out bladder, kidney and prostate cancer, with an accuracy rate of over 95 percent. The domestication of dogs (as well as cats) shows incredible potential for the future. Regardless of how or when dogs and cats were domesticated, the fact remains that they are a part of our society and here to stay. Whether they are hard at work or hardly working at home, we still love our pets unconditionally. 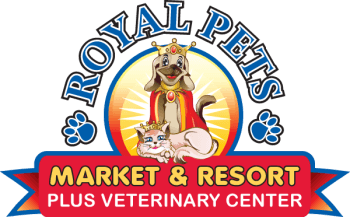 Treat your dog or cat to a trip to Royal Pets Market & Resort today!